We are finally home from the ER!!! Exhausted once again. She has been so nauseous that she hasn't really eaten since Tueday and throws up when she does eat. She's lost almost 8 pounds. It's been so hard to know what she needs. We decided not to change her dose on ANP thinking it was her medicine, but that wasn't it. 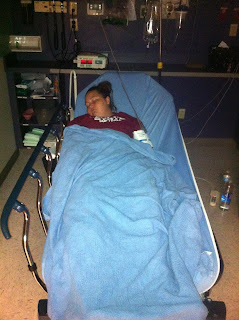 We also hydrated by giving her bags of fluids since she was still on ANP, but not drinking as much as she should be. When we got to the ER they ran a full panel of blood, checked out her pupils, and did a CT Scan to make sure there was no inter cranial pressure. The CT Scan came back perfect, I happened to have a cd in my purse so they could compare to the last one we had done. And her blood panel came back normal except the white blood cell count was a little off. So they ruled that she must be fighting something viral. Ugh!!! Doctor ordered some phernergan (nausea medication) which knocked her out, she was slurring and passed out fast. Then they gave her 1000ml of fluids and sent us home. She still had nausea on her way home, but she is now sleeping like a baby. We have decided that we will take her off treatment till tomorrow to allow her body to rest and have a good night sleep for once in a long time. We know that being off can also cause nausea, but at this time we feel that letting her rest is what her body needs. We pray that she soon finds relief, because we hate to see her suffer like this. Please keep her in your prayers!!! So we are finally arrived at home yesterday afternoon completely exhausted emotionally and physically, but still elated with the news we got Tuesday. It's been a great couple of days! After our appointment on Tuesday we proceeded to lower Kassidy's dose to 330 ml on Bag 1 and kept her at 40 ml on Bag 2. She wanted to give it a try, but after lunch she said she wasn't feeling well. :( She ended up throwing up all her lunch! She was so disappointed because by lowering her dose that would mean that she would only be on treatment about an hour and half vs. 2 hours and 10 minutes and have a break of over 2 hours between treatment. A bit more freedom from the backpack. It just gets tricky sometimes fitting in medicine bag changes, dressing changes, blood draws, and even showers in between her treatment times, since it gives us such a small window of time and sometimes sleep is a bit more important than all those. We asked her at that first vomiting episode what she wanted to do; if she wanted to go back up in dose or stay at 330 ml like Dr. B had said we could do, but she said she would try to tough it out and try again for the next dose. But that night after dinner she threw up again! 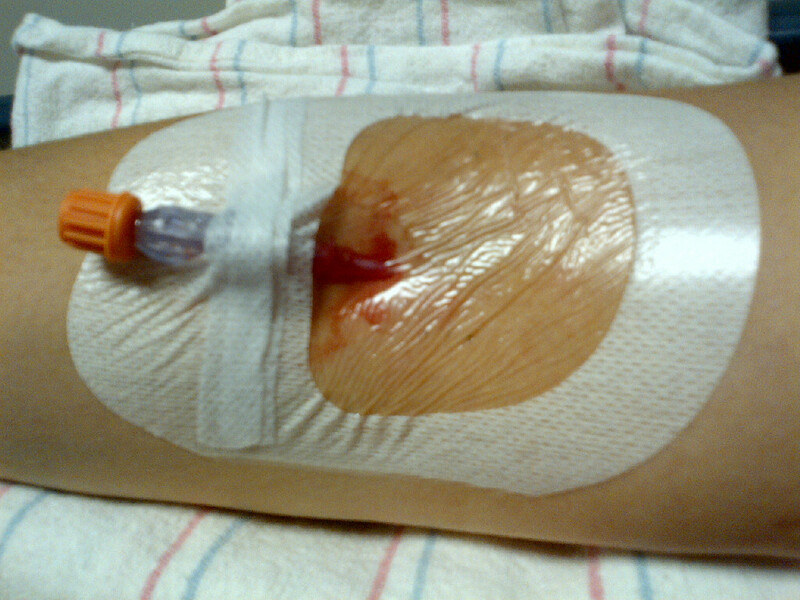 So we suggested we try 400 ml on Bag 1, not exactly maximum dose, but a bit closer. So we reprogrammed her pump and in the morning she was feeling worse. Ugh! We packed all our things and headed over to the clinic to get her some more fluids since again she had been throwing up everything she ate or drank and we wanted to make sure she did not dehydrate and felt completely bad on the airplane ride. We decided at the clinic to put her back at maximum dose of 500 ml on Bag 1 and worry about weaning her slowly when we got home. She's always been so sensitive being on ANP that is just makes more sense to wean her a couple ml a day than too much at once. So today we are at 470 ml and are hoping all goes well. We have kept her home today just because she is exhausted and would like to give her more fluids and to make sure she keeps food and water in her stomach. All this is just a reminder that she is still not out of the woods, that the fight is not yet over! We are hoping that by lowering the dose, the tumor does not grow in these next 8 weeks so we can continue to keep weaning. We also hope that eventually the remaining scar tissue is absorbed by her body so it doesn't cause any side effects even when she's completely of ANP. We know that she can live her life with the scar tissue or necrosis, but in truth it is still a foreign mass that remains in the brain that shouldn't be there and unfortunately can't be operated on. Dr. B feels that it will probably take another 8 months to wean her completely of ANP if all goes well. Hopefully less, but we will take 8 months more. So she will be carrying the backpack for a bit longer. The great part is that as we lower the dose most likely she will need decadron less and less. That in itself is success! Also, she should feel better and better and maybe be able to start exercising, feeling less tired and who knows what else. WOW!!! God is great!! It's been such a great couple of days. 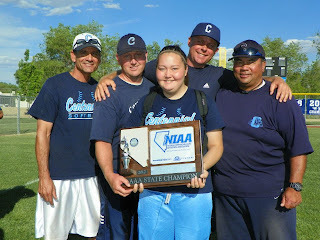 All of you know we got the chance to go to Reno to watch Kassidy's Centennial softball team compete in the State Championship playoffs last week. Well we arrived last Thursday just in time for the first game which unfortunately they lost, but it was a double elimination tournament and they worked hard through the losers bracket and made it all the way to the championship game on Saturday. Kass was so excited that she would spend Saturday (1 year anniversary of her diagnosis) watching her team fight for the chance at State Champion. 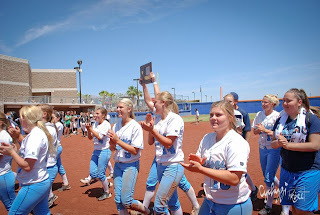 The hard part of this game is that the team they were playing for the championship was undefeated thru the tournament so the Centennial girls would have to beat them twice back to back. Can you guess it??? They did it! 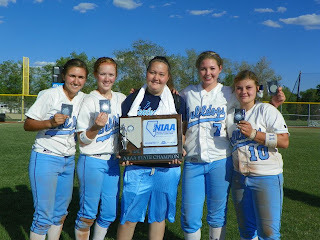 The girls all played their hearts our and they 10 run ruled Coronado HS twice. 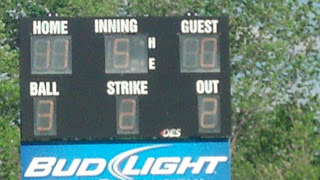 The first game they won 13 to 3 and the 2nd game they won 11 to 0. 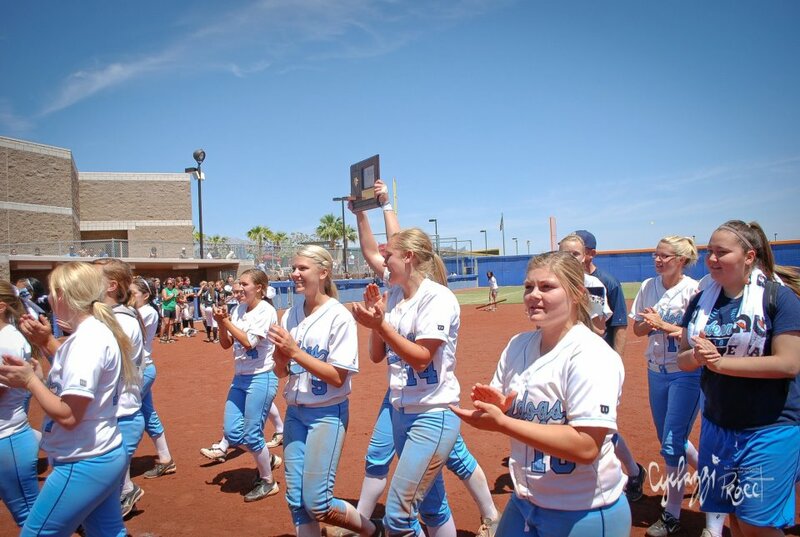 Such an amazing moment to see the girls finally win their State Championship with Kass watching. 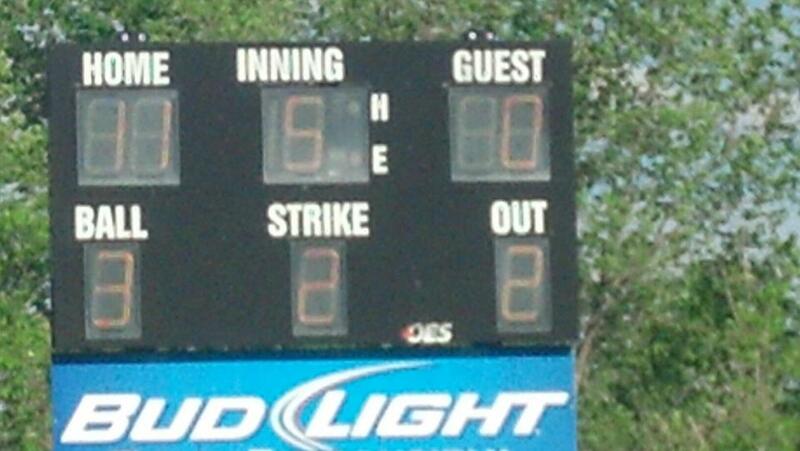 Not only that, but notice the final score! 11 to 0!!! Kassidy's jersey is #11. WOW!!!! 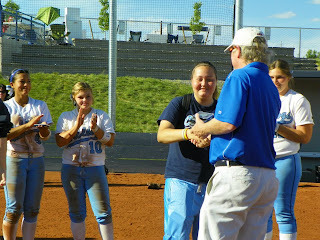 Kass getting her State Medal as the stands stood and cheered! 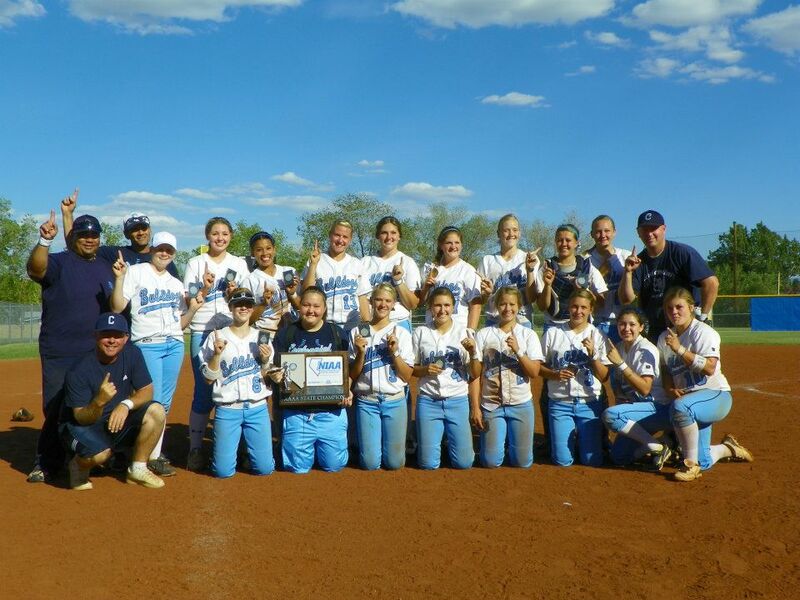 Centennial Softball Girls State Champions!!!!!!!!!! We were all sooo emotional! 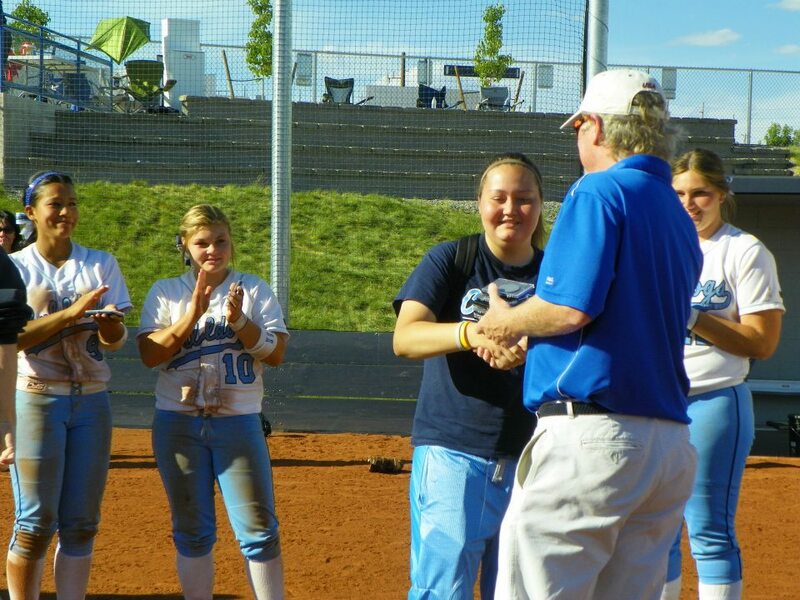 Each girl had again vowed to play for Kass that day. 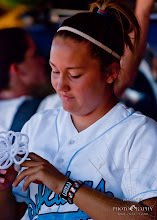 That this year would be won in Kassidy's honor. 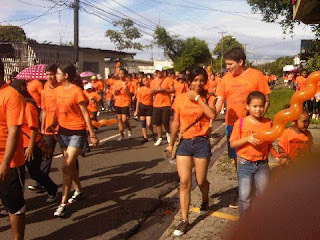 Amazing day! It was exactly what we needed that day. Another great blessing from God. Also, that next day on Sunday my aunt Ana from Panama did a walk in Kassidy's honor in David, Panama. 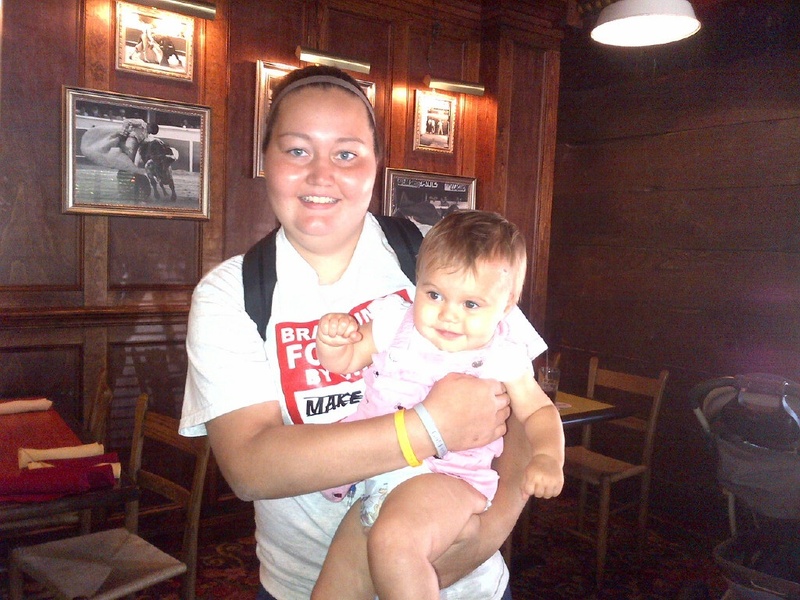 More than 300 walkers walked for Kassidy that day and most of them have never even met her. Pretty amazing!!! A prayer was said at 11am for her and I know that God heard. 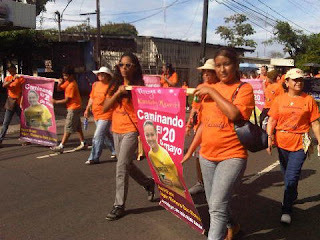 They carried giant posters of Kass thru the walk. 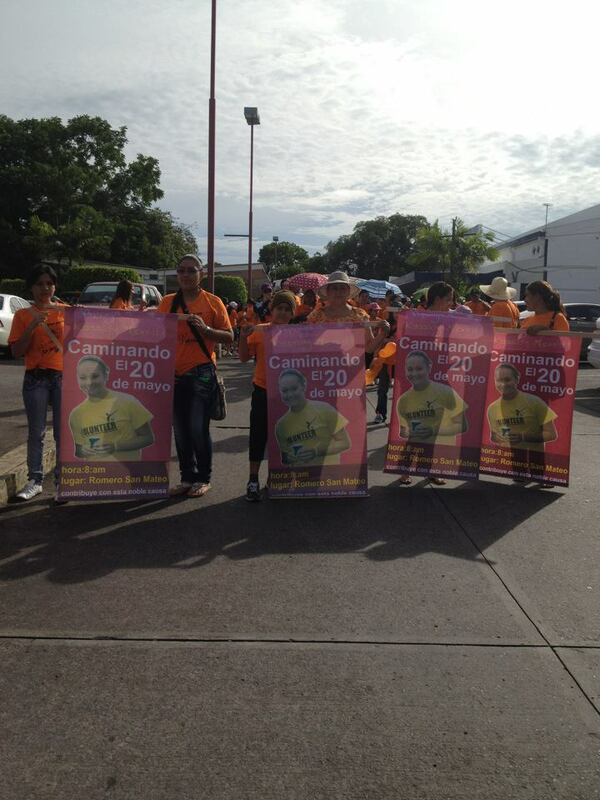 My cute aunt right behind the poster carriers she organized it all. She's been one of greatest supporters. We are luck to have her in our lives. 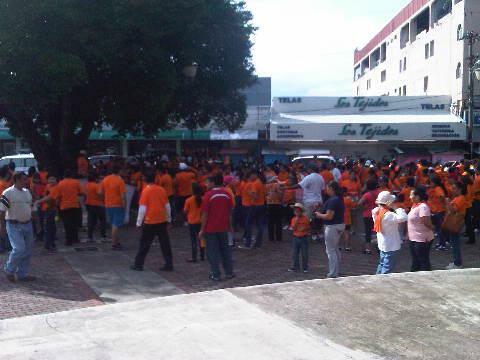 All the walkers! Thank you!!!! I am writing today with great gratitude in my heart. The joy we feel today; its indescribable. We arrived in Houston on Sunday night. Flight was great, but we did have to administer IV decadron in the ascend because Kass started to feel pressure in her head. We were so worried that she would feel sick, but she did ok. She got a headache on the way down, but after being back on the ground awhile her headache went away. So glad! Our pet scan appointment was early on Monday morning and she was so tired she slept right thru it which we were glad since she had been throwing up prior to her appointment since she had been off treatment for about 4 hours before. 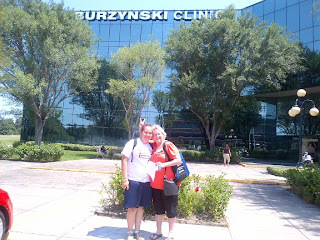 We waited for CDs to be burned so we could walk them over to the Burzynski Clinic and maybe get results right away. We were so nervous and anxious for results. We got to the clinic and we had to do our routine Monday blood draw. After that , we left Kass in the infusion room for a bag of fluids since she had been sick all morning and we met with the radiologist. He tried to evaluate the pet scan comparing it to our last MRI, but he really didn't want to make guess at it before Houston Imaging made an actual calculation of exact activity of the tumor. We were disappointed that we would have to wait another day. Our nerves would have to hang on for a little longer. So we went to eat and then headed over to spend the evening with the Geddes family who live very close to the clinic. We met the Geddes last year when their son Gage and Kassidy started treatment at the same time. We have kept in contact almost every day and they have been a great support for us since they have been around the block a few times. 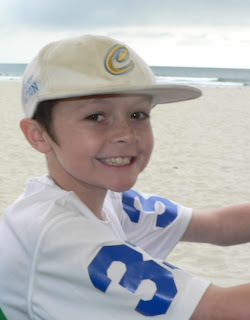 Gage has had brain tumors since he was 2 years old off & on, but he is now tumor free! Yeah! We are so thankful for great friends. Today was the big day! Results day! We got to the clinic and not one of us could really eat. Our stomachs were a mess. Right before our appointment we met with the Heil family whose baby girl Alynn of only a couple months is fighting a ganglioglioma on the left side of her head and Catherine who is fighting lymphoma, it's her 3rd fight with cancer. We all decided we would go to lunch together after all of our appointments. Kass & Catherine whose battled breast, kidney & now fighting lymphoma. It was her 2nd day of treatment. Kassidy & baby Alynn, she too has a ganglioglioma and she's been on treatment for a week and half. We then sat in the glass office and waited for doctors, our hearts beating so hard I swear could be heard thru our chests. 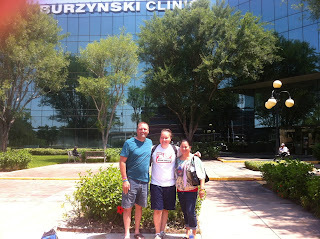 Not long Dr. Burzynski, Dr. Acelar, & Dr. Marquis came in. First thing Dr. B mentioned how good Kass looked. She smiled! He started off by saying that by looking closely at the tumor that it looks negative! WHAT! We were shocked. We asked to repeat! Dr. Marquis then explained that Houston Imaging took a real close look at the tumor and they said anything below a 3% activity is deemed negative and that Kassidys tumor was well under 3% activity. Oh my gosh! A pet scan allows for doctors to see what part of the tumor still has active cancer cells and which part are dead cells (necrosis). That they carefully measured each one of Kassidys lesions and compared them. That the results took a little longer because Kassidy's tumor is not a single mass but a couple of them and they wanted to make sure they assessed each one correctly. WOW! Dr. B then proceeded to tell us that he would like to lower Kassidys ANP dose right away to 330ml on bag 1 fom 500 ml and keep bag 2 the same for the next 8 weeks. All we could think was " is this really happening?" After the 8 weeks we would do an MRI to make sure there was no growth and if there was not we would lower the dose again and repeat an MRI to make sure the tumor would stay the same size. And to tell you the truth after that we don't remember. Lol! 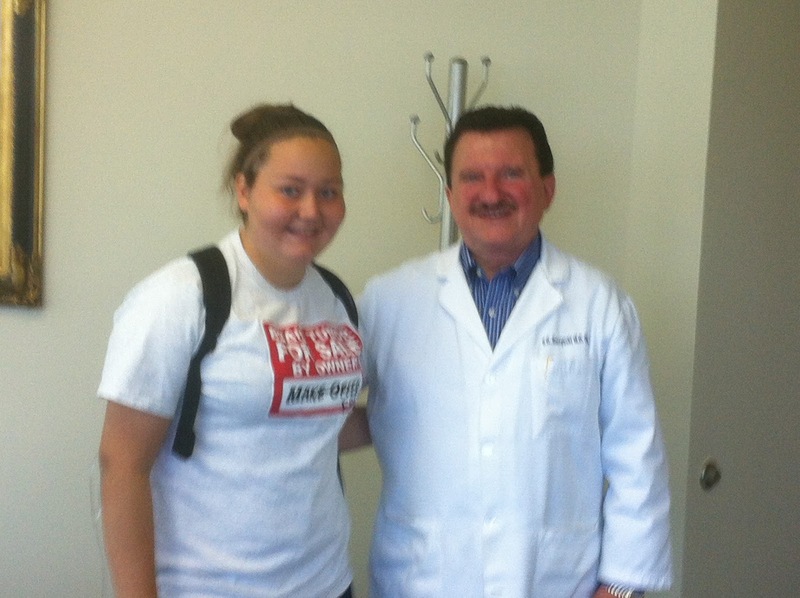 Dr. Burzynski & Kass almost a year later! At that point we could not contain our excitement! Our hearts were jumping for joy in a way I have never felt before. The joy was overwhelming! We thanked all the doctors especially Dr. B and ran out of the office to tell our new found friends that were at the clinic at the time. Then we called a few loved ones so the could spread the GREAT news! The greatest part of all this is that ANP worked for Kassidy! We are so glad after all she's gone thru this last year. All of it was not in vain. We pray that as we wean down the tumor doesn't come back. That either the remaining tumor completely dies off and the necrosis left behind does not cause any side effects or is later absorbed by her body. We are thinking she will still be in treatment for mother 8 months to complete the treatment, but now we see the light at the end of the tunnel. SIGH! We are thankful to our Heavenly Father for this blessing! Our faith has carried us thru some hard months and we know that he has always been there holding our hand. We dreamed of this day! It is still so surreal. Kassidy has been so courageous thru all of this, we cannot be any more proud of her. God truly gave us an amazing young lady. One who trusted us to go "outside the box" of medicine protocols to make sure that her quality of life in the future would be spared. Today we know that we made the right decision. That sometimes listening to that silent whisper can make a world of difference, even though not all agreed especially some doctors. We thank each one of you that support us and that pray for us. I know there are many of you. I ask that you please don't give up on us just yet. The fight is still not over! But we are almost there ;) god bless each one of you because without you we would NOT be where we are today. Thank You from the bottom of our hearts!!!! So I sit here with an upset stomach and anxiety as I think of what's to come in the next couple of days. I can't help, but be worried about things I cannot control. I pray that God gives us peace and strength to face whatever is in store for us in the future and that everything will work out. I've learned that faith carries you a long way and we leave the future in God's hands. We have seemed to have stalled in the weaning of the decadron, we are stuck at a 1/2mg in the morning and 1/4 at night. I guess that it's just what her body needs right now. Baby steps! She's been doing well on this dosage, but has been having a hard time with the heat. It seems that the Vegas heat drains her and also dehydrates quite a bit. Thank goodness our doctor has upped the hydration bags per week, which is kinda a hassle for Kassidy because she is hooked up to either an IV fluid bag or her ANP medication for a lot of part of the day for 2 or 3 days a week. She is not getting her almost hour and 45 minute break in between treatment like she usually has. She has to roll her IV pole while on the IV fluid bags and she feels she looks way worse off than she is while rolling that pole around the house. She says she looks like the sick cancer kid with the pole. We assure her that all this is temporary. We are just thankful that Vegas has not gotten any hotter yet especially since the Centennial Softball girls made it to Regional playoffs; so this past week they played almost everyday which wore Kass out. 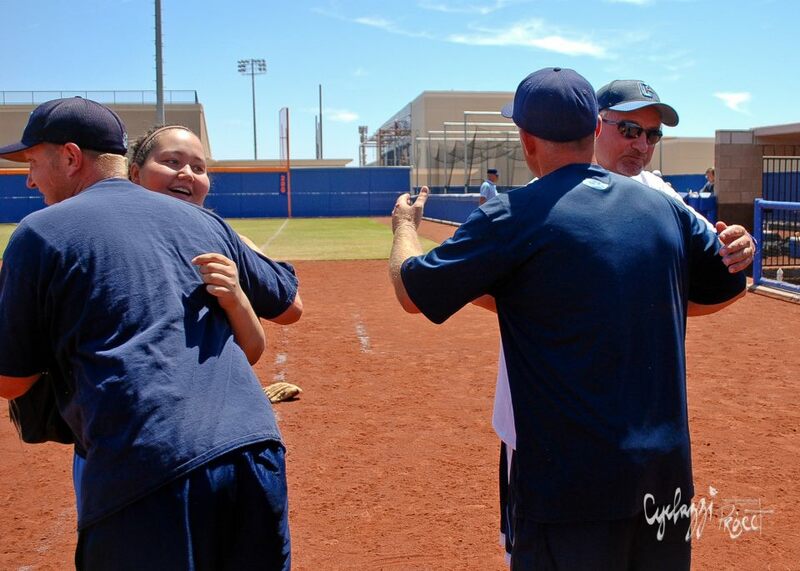 But she was excited to be there to watch her team win Region. Ryan kept her home last Friday to just give her fluids all day which got her ready to watch her team to victory on Saturday since I was in Boise picking up Kyle from college. Our boy finished his first year of college! We are so proud of him. Each girl kissed the trophy person that broke! Ha not sure why. 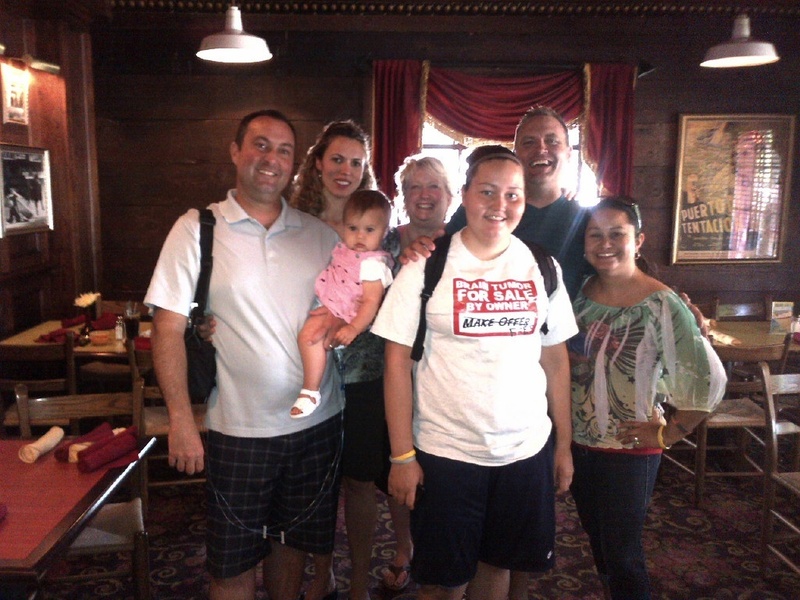 We want to thank everyone that helped out with Kassidy's fundraiser two Saturdays ago. 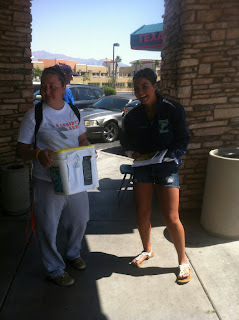 We had planned a car wash, but the Texaco on Durango and Centennial wasn't allowed to do a car wash so the volunteers stood the corners and also sold Kassidy's Army gear. It was a great success and we are so thankful to each one of you that volunteered and donated to our girl. Always so great to see all those to come out to support; coaches, parents, cheerleaders, dance fusion girls, softball teammates, and whoever I missed. It was also so great to see some of the Foothill softball girls make the trek all the way over to our side of town to spend the day with Kass. Thank you! Kass and her friend Pamels that made the trek across town. 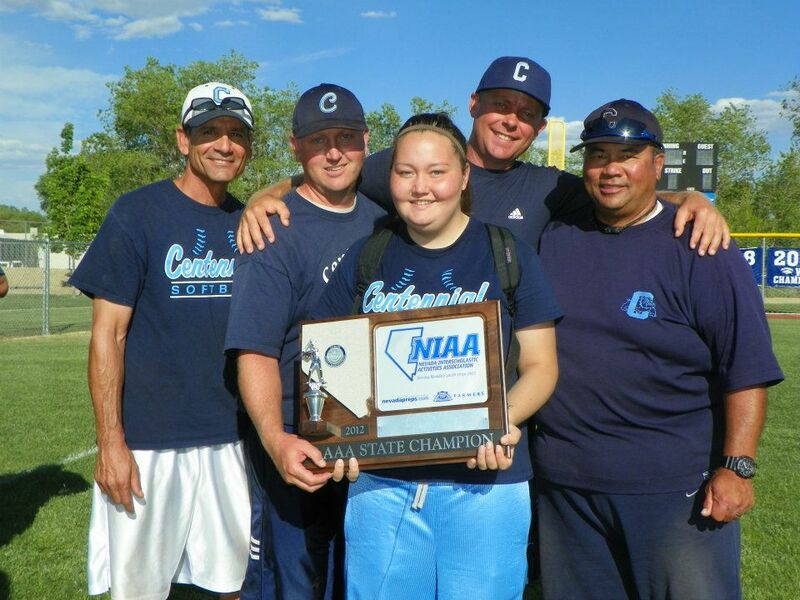 This week the Centennial softball girls are on their way to Reno to play in the State Championships. I feel almost dejavu. 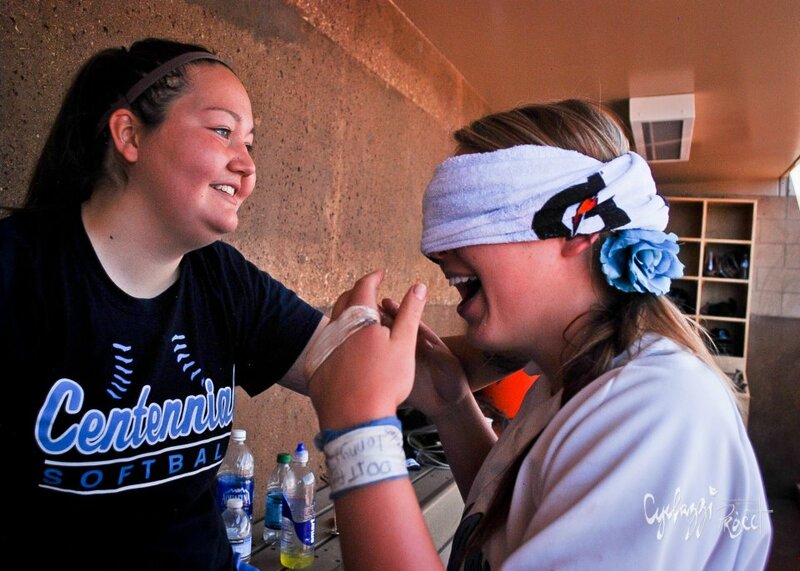 This was the case last year, but the first day of playoffs last year, Kass was in a hospital in for brain surgery. This year she gets to be there for her team. 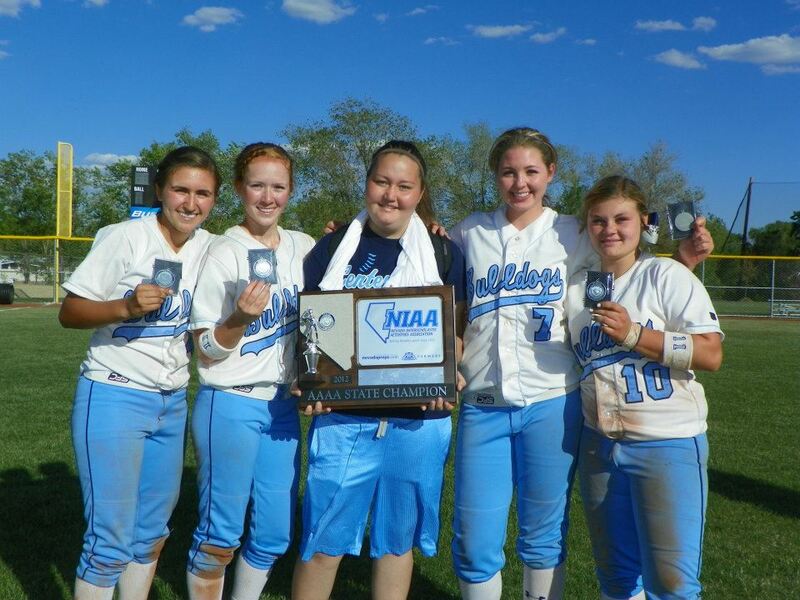 We leave tomorrow for Reno so she can be part of their great accomplishment, she's so excited. I hope they make it all the way to the championship on Saturday. It will be a great way to celebrate one year since she was diagnosed. Oh Saturday, please be kind to us. Cause I know this mama will be a mess. Yes it's a crazy week, so on Sunday we leave for Houston. I am asking for a prayer request for Sunday at 11:00am. 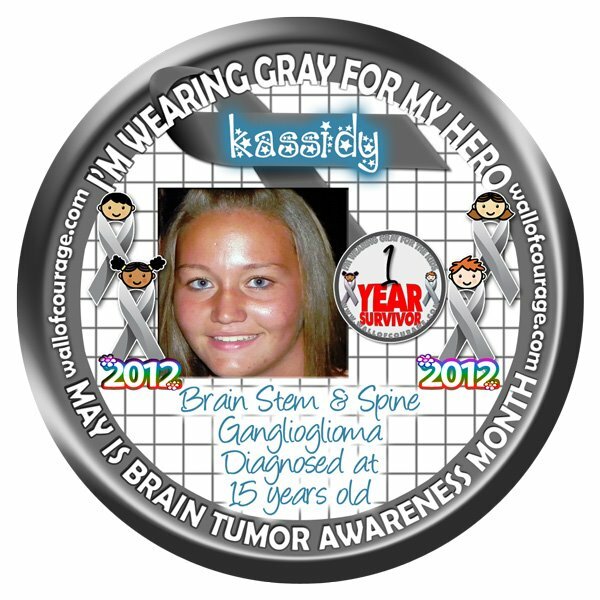 I ask everyone who prays to please say a prayer for Kassidy on Sunday at 11am Pacific Standard time for our little girl. This trip to Houston is so important and can change our world. Thank you in advance!!! Brain tumors are the deadliest form of childhood cancer and the #1 cancer-related cause of death for children 20 years of age and younger they can be malignant or benign, but in either case life-threatening. Brain tumors can occur at any age, but are most common among children ages 3 to 12, and adults ages 40 to 70. Pediatric brain tumors aren’t like those in adults and thus require different treatments. Even though survival rates for some pediatric brain tumors have increased over the years, survivors often suffer from lifelong side effects of treatments, including physical, emotional and learning challenges that will limit the quality of their lives all the way into their adult years. Research that focuses specifically on pediatric brain tumors is crucial to saving the lives of these children. The funding for pediatric cancer trials has declined every year for the past eight years. At this time, brain cancer research is underfunded on a national level and the public remains unaware of the magnitude of this disease, largely because brain cancer in children is one of the most difficult cancers to treat and because it is relatively rare when compared to other cancers. The cure rate for most brain cancers is significantly lower than that for many other types of cancer. 1 child out of 5 who is diagnosed with cancer dies; only 33% of all patients diagnosed with brain cancer will survive five years. Only two new brain tumor treatments have been approved in the past 25 years. I can't believe that it's May already! This month will be a year since Kassidy's diagnosis on May 19th; the date is practically around the corner. Time has flown by!!! Last year, May was just another month full of kids activities, sports, and just everyday life events. How everything changed in a blink of an eye. I can't tell you that we knew anything about childhood brain tumors except for watching the St. Jude commercials with the heart wrenching bald babies asking for donations. Funny, how we become aware really quick when someone close to us is affected by a disease. We never think it's gonna happen to us. I almost feel that we were living inside a bubble, completely unaware of the realities of life itself. I would almost say a selfish way of living. This past year has definitely not been easy, but we have learned valuable lessons that sometimes take a lifetime to grasp. We have grown as individuals and definitely become a closer family. We have also found that friends and family are extremely important, that their support is vital to dealing with the ups and down of cancer. We are so thankful for all of you! More than you know. 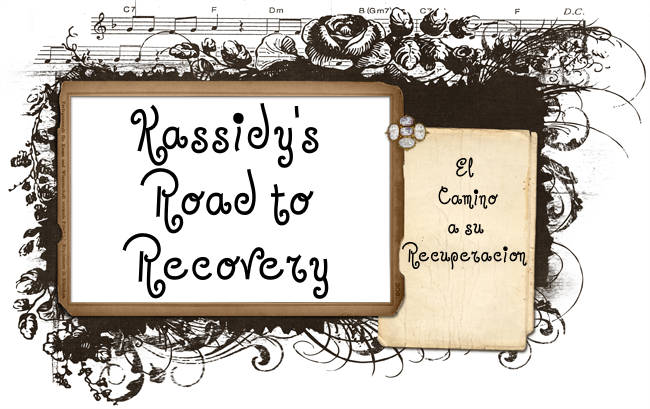 I know that all of you know, we have decided that a pet scan is necessary to see where we stand in Kassidy's tumor progression or regression. We will be traveling to Houston on May 20th to get a pet scan and afterwards meet with Dr. Burzynski, Dr. Marquis, & Dr. Acelar to go over the results of the pet scan. The pet scan will show if Kassidy has stopped responding to the ANP treatment or if it's killing the cancer cells and just leaving scar tissue behind that we cannot see on an MRI. 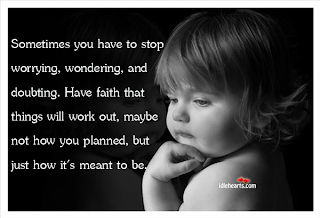 We will also discuss at that time if we need a plan B or if we just continue treatment. SIGH!!!!! The thought of all this terrifies us. We are currently still struggling a bit on the weaning of the decadron, we are only at 1/2 mg in the morning and 1/4 mg at night, but when we lower it even 1/4 mg she has bouts of nausea and vomiting a couple days after. We have been trying to lower the dose during the weekends so she doesn't have to suffer through the side effects of the weaning while at school. Even though, she has experienced some effects during school time last week. She tries to stick it out and takes her zofran (nausea medicine) and most of the time just finishes the day. We are so thankful she only has 2 classes per day especially days like that. Kassidy enjoyed playing with baby Thiago last weekend! Also, it's been great that her local doctor here is now prescribing IV fluids every week so I can administer those during the weekends and replenish her electrolytes, potassium, and calcium here at home. She feels so much better after them. We are learning what Kassidy's body needs to withstand treatment. Her labs every week have stabilized for the most part and happy to report that her hemoglobin keep coming up every week, something we struggled with quite a bit, a couple months ago when she almost needed transfusions. We have learned the vitamin supplements she needs, that cloro oxygen drops have brought up her hemoglobin numbers, natural anti-inflammatories helped with lowering her decadron dosages, elimination of milk has helped with her allergies, and most of all her diet. So amazing how the body works!!! You have to give it the tools to help fight!!! All in all everyday is struggle, but she's pretty positive most days. There are days when she gets tired of it all and just wants her life back which we don't blame her. 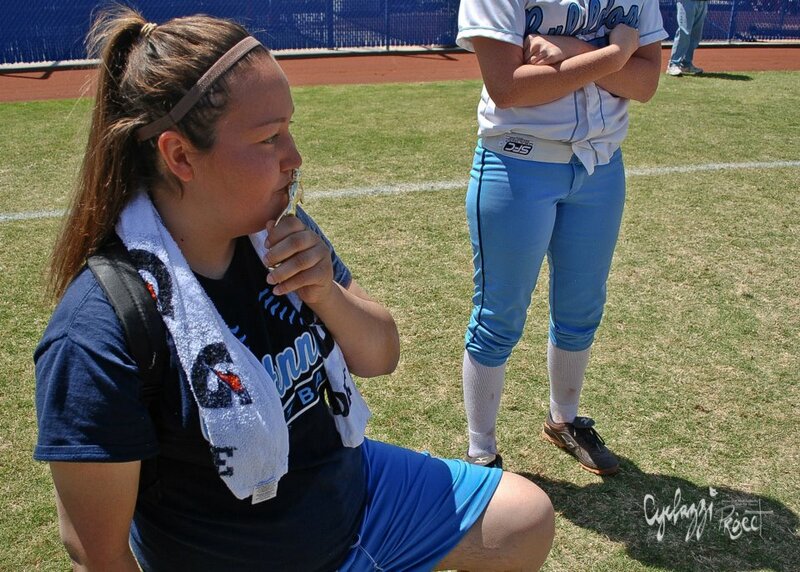 She gets tired of all the pills, sleepless nights, backpack carrying, not being able to play the sports she loves and do the things she used to. I think sometimes things are put into perspective of how lucky she is and that everyday is precious. Last Friday, we got the news that Jaxson Piro, the Las Vegas boy fighting a brain tumor whose walk we participated in March passed away. He won his battle against brain cancer and earned his wings. Jaxson was only 11 years old! Our hearts broke for the parents of this boy, Meghan and Steve. I could not imagine the pain they are feeling. How does a parent ever get over loosing their child? I don't want to think about it. 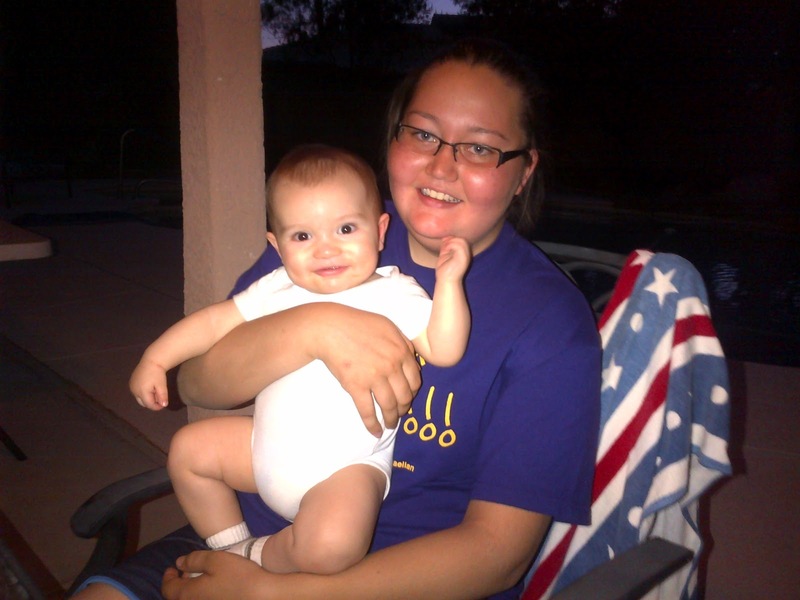 I do know that Jaxson is now free of pain and suffering and that he will look over his family as a guardian angel.